It’s no secret that having a consistent online presence is crucial to a business’s exposure this day and age. This doesn’t just include social posts and online ads but also producing blog content that can circulate the Internet to get your business’s name and brand in front of people as much as possible. But while you know you should be continuously creating articles that boost your company’s SEO, sometimes it’s easier said than done. 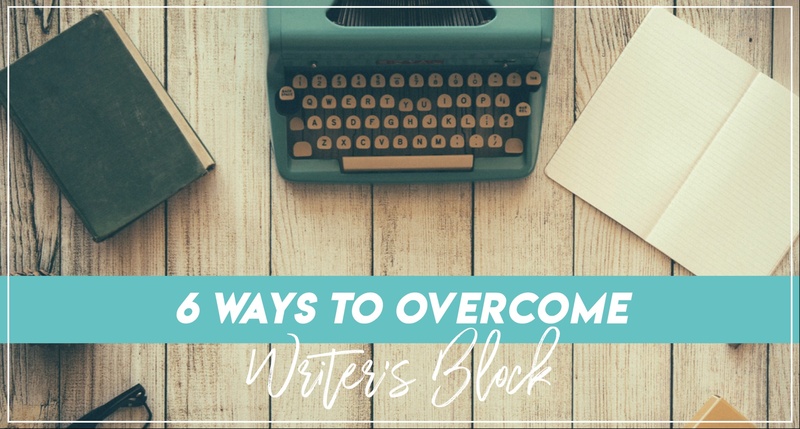 If you’ve ever felt that frustrating feeling of having writer’s block, here are some tips on how to get yourself unstuck so you can keep publishing good content. Write about what you know. Articles we write usually require at least a little bit of research to provide a well-rounded piece, but focusing on topics you know at least some about is easier to get started on and flesh out. The knowledge you have will always be of benefit to someone. Also, if your knowledge is limited, you can always link to different articles on the same topic for the reader to expand their knowledge in addition to what you’re providing. Plus, connecting your content with others’ is another great tactic to get your content noticed and spread even further online. Write about part of a topic. Don’t feel like your articles have to cover every part of a particular topic. Just simply choose a specific part of the topic to discuss in detail. For instance, if you’re writing about business insurance, focus on General Liability coverage for one blog, providing as much detail on that as you can. Then, you have all the other types of business insurance (Errors and Omissions, Workers’ Comp, etc.) you can cover in future articles. Also, at some point, you can also write a general article just listing the types of business insurance, and then link each one you list to the detailed blogs you wrote about previously. This tactic can be used on almost any topic, not just business insurance! Break your articles up by sections. You can certainly follow the structure of having the typical intro and outro, but the middle part of your articles can be broken up into different categories with headings, bullet points, images, etc. This makes it easier for you to organize your thoughts and prevents you from rambling too much in your writing. It’s also more appealing for the reader to have categories or images to look at than to have long drawn out paragraphs. It doesn’t have to be extremely long. Some blogs can be short and to the point – and that’s ok! Some people actually don’t want to read long articles so the short ones would get that audience’s attention more, helping you reach a broader range of reader types. The length of blogs does matter for SEO and credibility purposes, but you still don’t want it to be too long where people get bored or uninterested as they’re reading. Give it a catchy title. Having a specific and interesting title will 1) help you stay focused on what you’re writing about specifically, and 2) get the attention of your potential readers. If you aren’t sure where to start for creating good titles, read more on that here. Have someone proofread/edit your work. It’s always good practice to have at least one extra set of eyes review your writing before it gets published. This is simply because we don’t always catch anything – our eyes will even skip errors and read what should be there instead of what is sometimes. Also, if you aren’t fully confident in the piece you wrote, having someone step in to embellish or fix it up a bit can be a huge relief before it goes live. Sitting down to write a great article and completely drawing a blank as soon as your fingers hit the keyboard is something that happens to us all. By utilizing some (or all) of the tips above, you should be able to flesh out something you can use to help your business stay active online. If you just don’t have the time to think about writing for your company anymore, it may be time to consider getting some help with that altogether. If that’s the case, contact us to see how we can help.